The student-faculty ratio is 7:1. Williams admits U.S. students without regard to their ability to pay. The college meets 100 percent of every admitted student’s demonstrated financial need for four years. 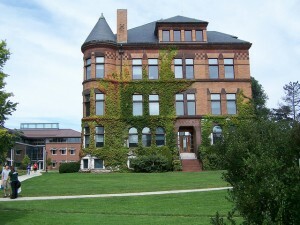 More than half of all Williams students receive financial aid from the college. There are three academic divisions (languages and the arts, social sciences, and science and mathematics) that encompass 25 departments, 36 majors, and several concentrations and special programs. The academic year consists of two four-course semesters plus a one-course January term. Fraternities were phased out beginning in 1962. Coeducation was adopted in 1970.